Having my degree in science and working in Medical Research before moving into advertising many years ago, the scientific approach, or more accurately the scientific method, is core to my training and my view of the world, and a methodology for solving problems in the real world. So much so that when we first commenced the TrinityP3 blog (although the company was actually P3 back then), I wrote this post to remind me, the consultants and our clients of the efficacy of this approach. One of the important disciplines in mathematics, especially for scientists, is statistics. I am sure anyone who has undertaken a science degree, either as an undergrad or at a post grad level, will be well tutored in the topic. But you can understand my surprise at the loose application of this discipline when it comes to the ‘social’ sciences and especially in market research. A number of key examples in my career informed this viewpoint. Mad Men. Math Men. With all the talk of big data and the concept of data driven marketing becoming more popular, one of the biggest issues is that often marketing and data analytics are quite separate within many organisations, especially services companies such as telecommunications and financial services. But, as Anton Buchner shares here, the real benefits are achieved when data analytics are working with marketing to inform the marketing strategy. Dashboards are a terrific way to make business, marketing and customer data more acceptable and useful. In fact, many agencies, especially media agencies, are known to offer advertisers their own Marketing Dashboard as an incentive to hand the business to the agency. Anton Buchner has seen good dashboards and terrible dashboards, and here he shares the seven best practice tips of what makes the difference. With increasing opportunities and options available to marketers, it makes sense to be able to ‘test and learn’ which strategies and opportunities deliver against those that do not. But some marketers struggle with the best way to carry out a ‘test and learn’ program within their marketing plan. Here, Darren Woolley draws on his science background to provide an understanding of how the scientific method can be used by marketers. While it is attractive to long for a simpler time, the fact is that we live and work in a complex world and it is getting more complex every day. The Cynefin Framework (pronounced cunevin) provides insights into the various operating domains being simple, complicated, complex and chaotic. The framework allows you to frame the domain of operation in a way that provides a scientific basis to the social sciences we operate for marketing and advertising. Glenn Granger, CEO at Marketing QED, talks data with Darren and its role in informing fact-based decision making rather than simply relying on intuition. They discuss the challenges, processes and benefits of taking a ‘Math Men’ approach to marketing, instead of the traditional ‘Mad Men’ style, and provide insights into why we work the way we do and how to improve. 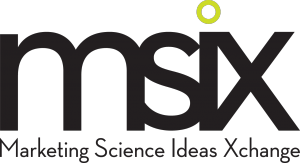 MSIX is a day of interactive learning, lectures, workshops, demonstrations and quizzes. The application of marketing sciences cuts across research, branding, creativity and ideas, and behaviour change programs. The line-up for the 2016 conference reflects this spread of influence. Use code MSIX95 for your $95 discount for the conference. We concluded an agency alignment with a leading Australian charity. An assessment of a TVC was quickly produced for a global FMCG company. Another charity just finished the first stage of a print procurement modeling exercise. One of our leading consultants ran a facilitation workshop for a tier one financial institution. A major tourism player worked with us to benchmark creative output as well as help with media negotiations. Last but not least, we worked closely with another global FMCG to implement a output-based remuneration model with their agencies.